It's has been a while since I last posted anything here. Mid-May through the end of June was a very busy period of work for me (a good thing). I played a bunch of fun gigs and was in the studio, recording several ballads for an upcoming Chet Baker tribute album. When I wasn't working, I was at home with the little guy. 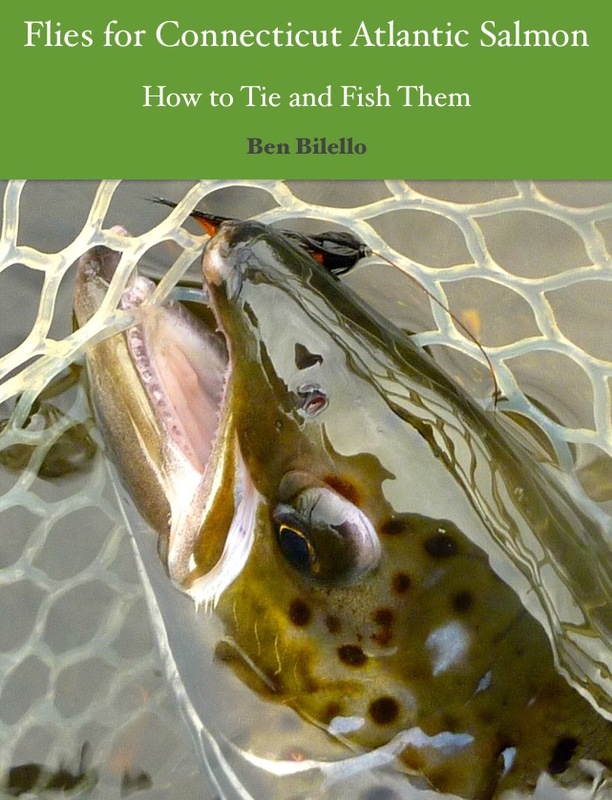 It left very little time for fishing and even less time for tying. Sadly, my spring fishing season can summed up in two words...bad timing. I just couldn't seem to time anything right. First the water was way too low for my quarry, then it was way too high. Finally, I couldn't take it any longer and fished right through a tropical storm. This summer, my goal is to find a good babysitter so I can time things a little better come autumn! I did find the time to tie up a couple of freestyle display flies this week, however. It felt good to tie this style of fly again. I think the last freestyle fly I tied was almost a year ago. I have some more ideas I'm going to try to work out while we're in the summer doldrums. The "Chopham" is based on the Popham, one of the most iconic flies of the Victorian era. 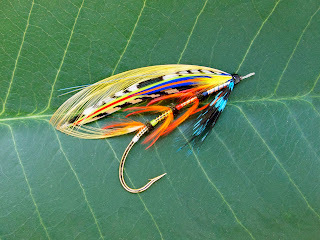 The indian crow subs in this fly were made by Bryant Freeman of Eskape Anglers. Because of the lack of a formal body, I aimed for an airy look overall. "The Outlaw" uses a color scheme that I am very fond of...black, white, red and peacock green. I can't get enough of white feathers with a black/dark accent. Amherst and silver pheasants, silver badger rooster and, in the case of this fly, speckled bustard neck hackle (throat). I'm also a sucker for embossed tinsels. Along with "The "Moon Maiden," and "The Bandit" (one of my first freestyle flies), this fly is the third in a series of flies in this color scheme. I agree with Mark: beautiful work, Ben! Thanks, Ben! I hope fishing is going well for you this season.